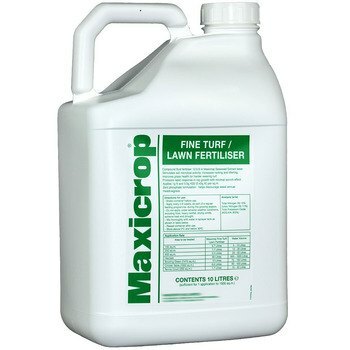 Ideal fertiliser for lawns, tennis courts, cricket pitches and bowling greens. Stimulates soil microbial activity, increases rooting and tillering. Liquid fertiliser containing 12% Nitrogen and 6% Potassium plus natural seaweed extract to stimulate soil microbial activity, increase rooting and tillering. 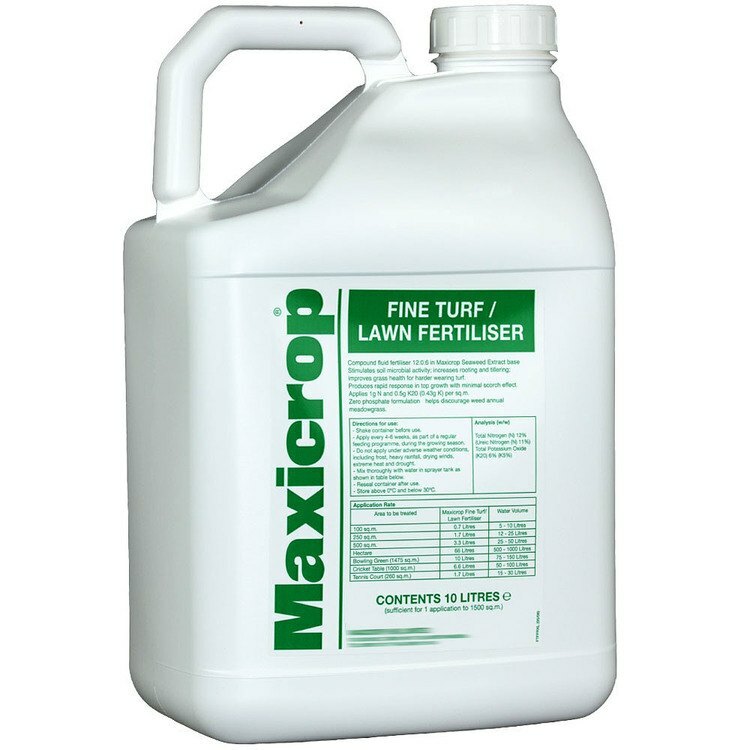 Maxicrop Fine Turf and Lawn Fertiliser contains zero phosphate discouraging the growth and unwanted rogue grass species such as annual meadowgrass.